We’re in for several days of light winds and generally dry weather with a high pressure ridge near the state. 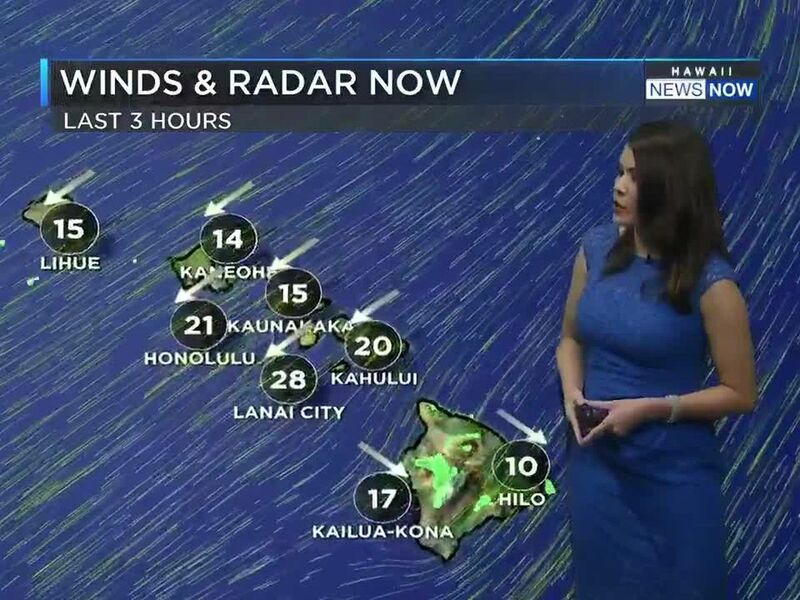 Daytime sea breezes could lead to some afternoon clouds and isolated showers for interior and windward areas. A front is expected to stall out just to the north and west Tuesday and Wednesday, but overall showers activity will still be limited. Another front is expected to approach the state near the weekend, but it’s too soon to tell if it will reach us. 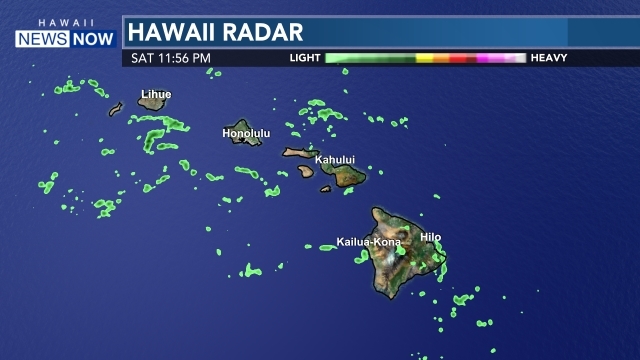 Surf along north and west shores will be rising gradually Monday and Tuesday, with a larger swell arriving Tuesday night that could reach advisory levels, with waves remaining at or above advisory heights for most of the week. No marine warnings are currently posted. A small northwest swell is also expected to peak Friday.